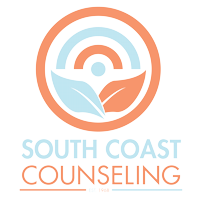 If you or a loved one is questioning a mental illness, South Coast Counseling can help. We offer psychological testing to help diagnosis co-occurring mental illness and help you find the right path to relief and recovery. Proper therapy is vital for effective drug and alcohol addiction treatment. For this reason, a substance abuse rehab center will conduct a battery of psychological tests to assess the patient’s condition, including how dangerous he or she is to others and his or herself. Through testing, we can understand the quality of a patient’s judgment, insight, abstract reasoning skills and more. This is done in order to devise a tailor-made strategy designed to provide the optimal setting for and form of treatment. The psychological testing administered by specialist South Coast Counseling therapists begins with the observation of the patient. Gathered data is collated following an interview between professional and patient, the former noting the latter’s expressions, appearance, speech patterns, mood and other ticks and quirks. Only at the conclusion of this procedure will the formulation of an addiction treatment plan commence. 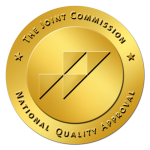 The results of this evaluation enable our team to deliver the most effective treatment possible, ensuring a full and lasting recovery for each of our patients suffering from the damaging after-effects of alcohol and drug abuse. A common misconception about alcohol and drug abuse is that one must partake of these substances on a daily basis. However, dependency is far more subtle and insidious. If you are concerned that you, your spouse, a family member or a friend require drug or alcohol addiction treatment, please contact us immediately. Our expert, compassionate specialists are standing by to answer your call and make a difference in your life. Our state-of-the-art drug and alcohol rehab center provides a safe space where you or your loved one can undergo the psychological testing that will serve as your first step on the road to lasting recovery.